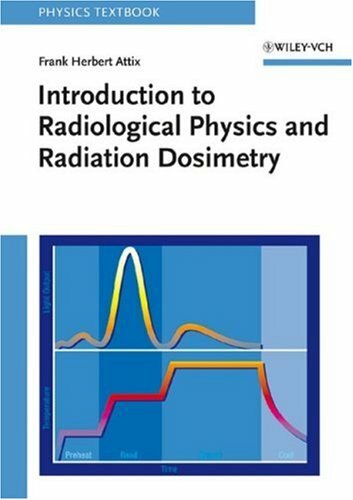 A straightforward presentation of the broad concepts underlying radiological physics and radiation dosimetry for the graduate-level student. Covers photon and neutron attenuation, radiation and charged particle equilibrium, interactions of photons and charged particles with matter, radiotherapy dosimetry, as well as photographic, calorimetric, chemical, and thermoluminescence dosimetry. Includes many new derivations, such as Kramers X-ray spectrum, as well as topics that have not been thoroughly analyzed in other texts, such as broad-beam attenuation and geometrics, and the reciprocity theorem. Subjects are layed out in a logical sequence, making the topics easier for students to follow. Supplemented with numerous diagrams and tables.